Blog | Abby Chew Poetry | Poet. Writer. Teacher. When someone writes a review of Discontinued Township Roads, I am always nervous. With a flip of the gut, I read the first words. But I think it’s not a fear of a bad review, but of a reviewer who didn’t take the time to really read. If she hated it but spent time learning how it failed her–well, okay then. And it seems to me that Alison Taverna over at Coal Hill Review did take that time. She saw how the book grew out of itself. I’m proud to put a link to the review here, proud to have had her read my poems. G.G. Andrews interviewed me for her series Writers Who Read. I’m honored, of course, and excited. Thinking about what I read and why has me thinking about books I read over and over. Besides Jack London, I think it’s Richard Hugo whose poems and essays I keep close at hand. I turn to The Triggering Town once a month, at least. I wish I had met Richard Hugo. He died before I had read a word he’d ever written–when I was three. But the way he speaks, with humility and assuredness, reminds me what I want to strive to be. How I want to speak. I spent some time living with Quakers at Olney Friends School, teaching and working on the farm. At their best, they have those same qualities. Richard Hugo and Quakers. There you go. As it is National Poetry Month, I’m thinking of my old life at Olney Friends School in Barnesville, Ohio. There, I raised goats and taught Humanities. April came on the heels of a long late winter spent boiling sap around a fire with my friends Leonard and Don. Often, my final hour before going to bed was spent in the school’s industrial kitchen, washing pots and spoons and pans and coffee mugs, setting them aside for the next morning, when we would rise and begin the fire again. When April came, the goat kids were getting born and the weather offered up nights that didn’t drop so far down the thermometer, and my students and I hung poems all over our school. We hung them in the halls, the classrooms, the bathrooms, the dorm rooms, the kitchen. We hung them in the dining hall and the office and the barn. It was a tradition I loved. I didn’t know if other folks loved it, but I loved coming down the boys’ side hall (back in the day there were separate staircase for boys and girls), and there would be Dean Young or Mary Oliver or Pablo Neruda. Then, today I saw a Facebook from a former student of mine–a college student now–who said, “Happy National Poetry Month! I realize now how much I miss seeing poems taped to the walls in sometimes peculiar places,” followed by the e.e. cummings poem “in time of daffodils.” We wrote back and forth a few times, and then she made this Facebook Page Poems in All Places (that’s a great title, right?). It’s got 58 members in its first hour of existence. Go ahead over there and post a photo of a poem you’ve found. Or write your original. Or just tell us all what poems you love. It’s April. It’s just the right time. Discontinued Township Roads in the Midwest! 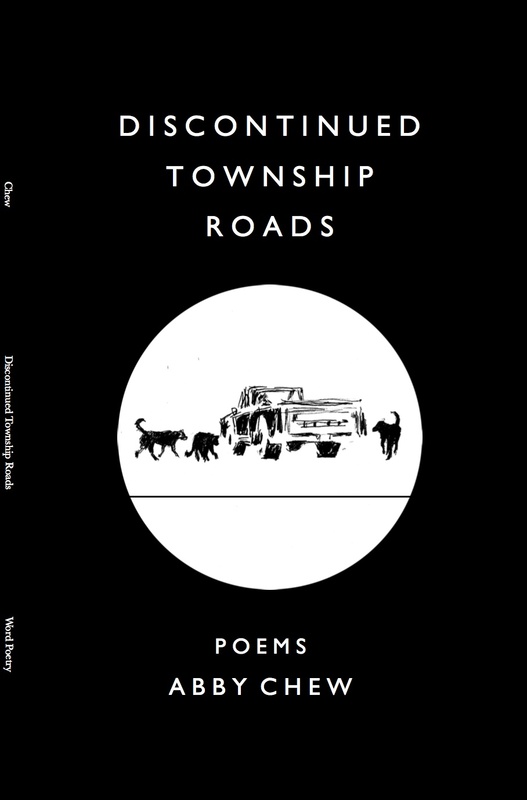 I’m taking Discontinued Township Roads to the Midwest to do some readings in Ohio and Indiana for National Poetry Month. On April 19th, I’ll read at Olney Friends School in Barnesville, Ohio at 8:00 PM. On April 22nd at 7:00 I’ll read in Loveland, Ohio hosted by the Loveland Arts Council at 529 Main Avenue. Then, on Friday, april 25th I’ll be in Indiana in my home county! Reading at 7:00 at the Putnam County Public Library–at that one there will be a bar and live music by Ron Dye and Anthony Mullins to follow.